FINALY KEIRYU HAS COME BACK TO BLACKSPEARS!!! (Been a while since i made that reference) And he has brought with him another Anime for you all to watch this summer, the Anime today is Sengoku Basara: Judge End. Which some of you might know, be it from the game´s or the two seasons that came before this. Yep this is the third Sengoku Basara Anime adaptation and this is the one i have been waiting for some time. 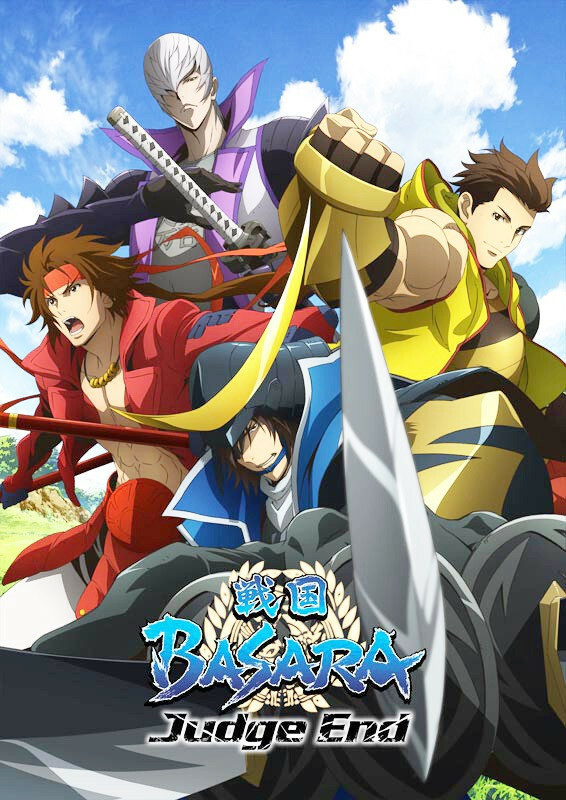 The story of Sengoku Basara: Judge End is based on CAPCOM's 2010 game Sengoku Basara 3 (Sengoku Basara: Samurai Heroes), and it depicts the epic Battle of Sekigahara. What can i say about Sengoku Basara other then the games are amazing...honestly i think this is one of my favorit Samurai related game series(sure lots of fantasy but who cares) it is right up there with Samurai/Dynasty Warriors, Nobunaga´s Ambition and Onimusha. As for the anime i enjoy it so far i have been waiting for quite some time to see how it will be once the Battle of Sekigahara begins(the Historical fans should know what i mean that was probably one of the greatest battles in Japanese History) so yeah i am very excited to see how it will continue and i can just say to all who like Samurai related stuff check it out or if you don´t want to watch the anime maybe you want to try playing the games you won´t be dissapointed trust me....you know you can trust me...*Hides his trusty minigun*....right. Another Day another anime, i am realy enjoying doing this it actualy suprises myself, been a while since i had something that ocupied me for more then 5 minutes without me getting bored....Kind of sad tough that so few people are commenting on this. I realy want to know what you all think so you know what that means. LIKE,COMMENT(this one is very important) and FOLLOW and until next time. Keiryu well i did say some might know it and Sengoku Basara is quite famous on it´s own so let´s see who here actualy knows it.